2-4 players, 30-75 minutes depending on the number of players. Quilt Show is a fun, light strategy game designed by a quilter for quilters. We can only ship Quilt Show to U.S. addresses. Special shipping charges apply: $10 for the first game in an order and $4 for each additional game. The game play is entirely intuitive for quilters because everything you do in this game is something you already do as a quilter: You collect fabric; you use up the fabric to make quilt blocks; you arrange the blocks to make the best and most beautiful quilts; you occasionally embellish the quilts with extra-special quilting; you enter the quilts in quilt shows; and you win ribbons and great cash prizes! The contents: You'll find a lot of game (almost 4 pounds worth) packed into the box! Quilt Show was one of the winning games in the Rio Grande Games Design Contest. The prize for winning was to have the game published by Rio Grande Games, the leading publisher of European-style games in the United States. Each of the 6 block types is a Judy Martin design from one of her books. Can you name the patterns and the books in which they first appeared? 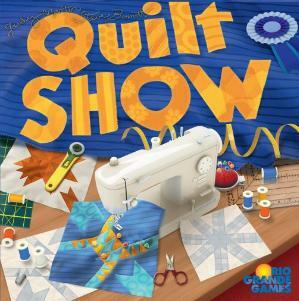 Quilt Show is perfect for quilt guilds, retreats, and all quilters who enjoy a friendly game with family or friends. 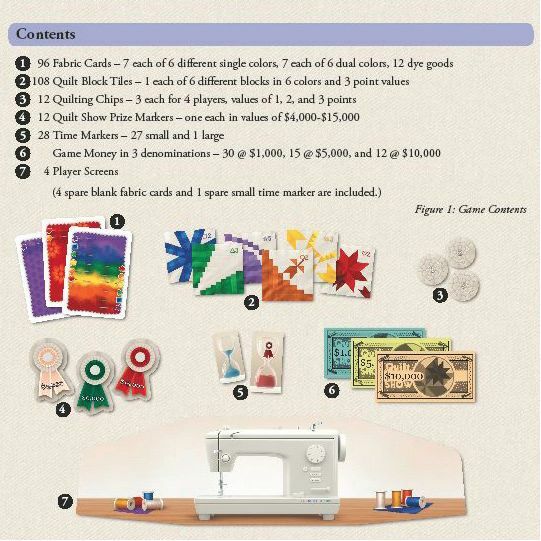 And it makes an excellent gift for the quilters and/or gamers in your life! You can tell Quilt Show is fun by the designers' big smiles! The Verdict is In! Quilt Show is a Hit! "The reasons for loving Quilt Show are many, particularly if you're a quilter, but what they all boil down to is simply: it's fun!" 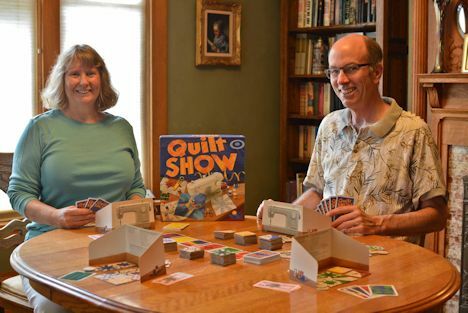 "If you want a really FUN game for your retreat or small group gathering….you have GOT to pick up QUILT SHOW!" "I don't just like Quilt Show. I adore it. I will roll up in it and inhale. It is the smell of perfection and peace." "Beautiful components make the game a steal at its price, and that is without even considering that it is easy to learn, fun, and plays quickly." "I love that this subject matter, combined with a game that can be learned and taught easily, could serve as an entry point for new gamers." Learn How to Play With This Video Review!